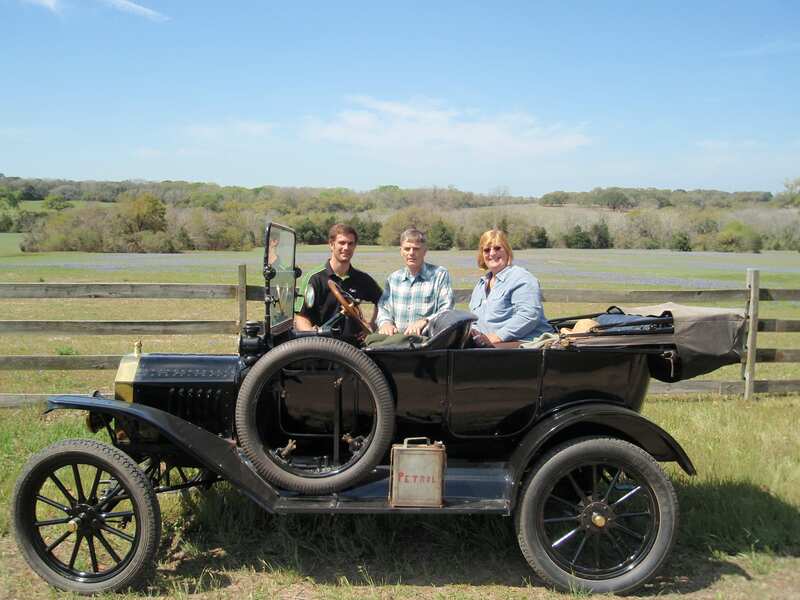 We are Ross and Jennifer Lilleker, owners of Lilleker Antique Auto Restorations. Let us tell you a little bit more about who we are. 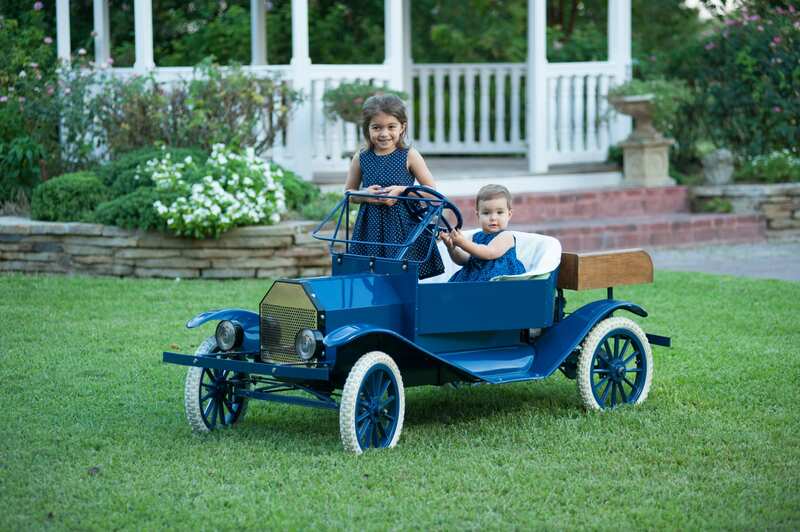 We both have grown up enjoying the Model T hobby with our families. Ross in England and Jennifer in Texas. 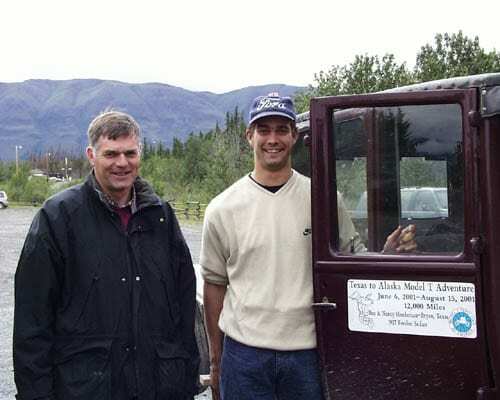 In 2004 Ross and Jennifer were married in England and rode to and from the church in Ross’ father, Bruce’s 1911 Towncar. 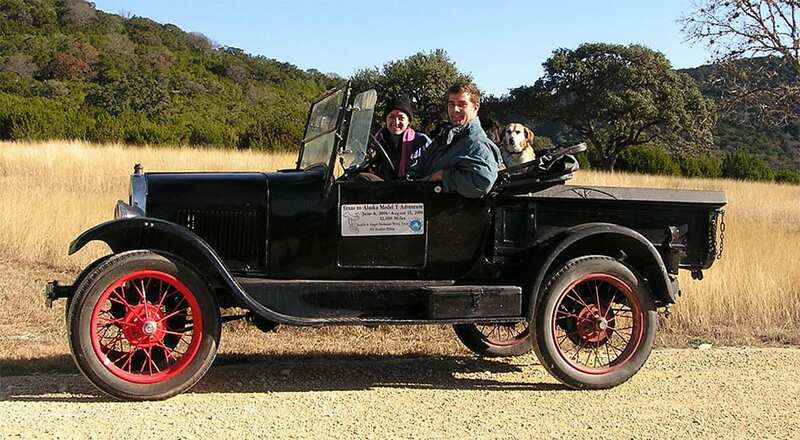 They settled in College Station, Texas where Ross began working for Texas T Parts, a Model T and Model A parts supplier owned by Jennifer’s father Ben Hardeman. 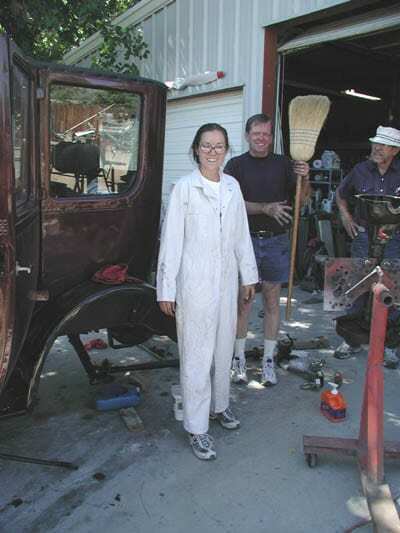 In 2008 Ross decided to go into business for himself, providing restoration services under the name Lilleker Antique Auto Restorations. With his new company, Ross hopes to be able to offer the highest quality restorations services at a reasonable price. As always he will continue to work with customers one-on-one to determine their needs and produce a car that will satisfy them and offer them many years of enjoyable touring. 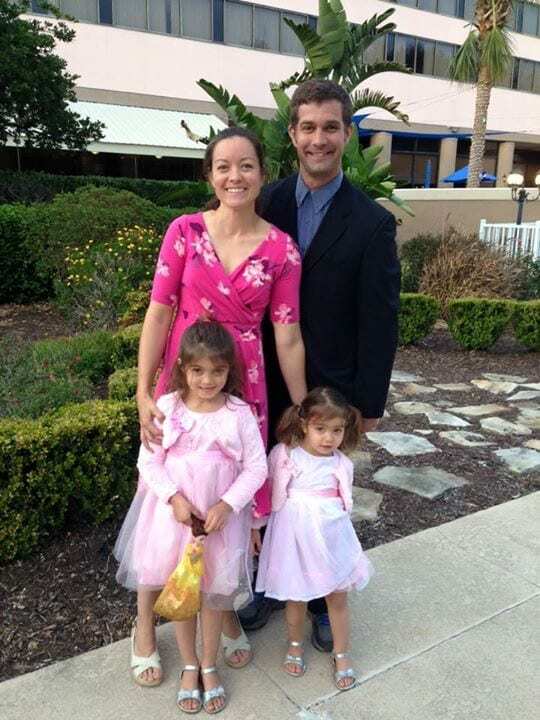 Jennifer manages the business side of things, and feeds and cleans up after Ross and their two young girls. A full time job, believe me! They live on 5 acres which includes Ross’ workshop, Jennifer’s petting zoo and the girls’ vegetable garden. Every chance they get they go on tours. Sometimes it’s just a parade or a day out and other times it’s a national tour. If you see us out on tour, please say hi to us. We love to talk cars. Hope to see you in your T or A soon! The Model T Ford Register of Great Britain Ltd. in association with the Michael Sedgwick Memorial Trust. The recent centenary observances for what Henry Ford called “The Universal Car” have understandably spawned a carload of books. The Model T has never lacked for attention, so many of these have simply rehashed the conventional wisdom, newly packaged. Among the chaff, however, are some real kernels of wheat, and this book is one of the best. We rightly think of the Model T as an American icon, but it was also the first “world car,” an automobile built and sold in its basic form all over the globe. Such was its reach that overseas assembly began early, in the case of Britain in 1911. So successful was the T that by the mid-1920s half the cars on British roads were Fords. It took an even simpler, smaller imitator, the Austin Seven, to dislodge the T from its perch. The authors begin with a chapter about Ford in Britain before the Model T; the first Model As were imported in the winter of 1903-04. Seven successive chapters take the story through the end of production, and a final chapter deals with post-production matters, the launch of the new Model A and the subsequent history of the Trafford Park plant where British Model Ts were built. Included is a short history of the Model T Ford Register of Great Britain. Useful appendices cover sales and production, prices, serial numbers, early dealers, management and biographical notes on Sir Percival Perry, the driving force behind Ford in Britain. There is a tendency for books by marque and model enthusiasts to become mired in details, which are craved by the faithful but often boring to a general audience. This book strikes a good balance, for just when the text seems to be headed into obscurity the pace picks up and the story takes a new turn. The cars of each year are discussed in some detail, but accompanied by commentary on manufacturing techniques and company management. It is well written and extensively researched, the latter evidenced by plenteous citations. The latter are occasionally worked into the text, where essential to understanding the topic, but otherwise left to chapter endnotes, which are mercifully concise and to the point. There is a useful index, which sadly is made less useful by its construction. For example, for “demountable rim” and “wire wheel” one is directed to the larger category of “wheels,” in which there are no fewer than 81 citations, some of them covering several pages. The book is illustrated comprehensively with period photos and diagrams, interrupted just briefly for a 16-page color spread of recent and relevant photos. Production quality is very good, particularly the photos, which exhibit exceptional detail. 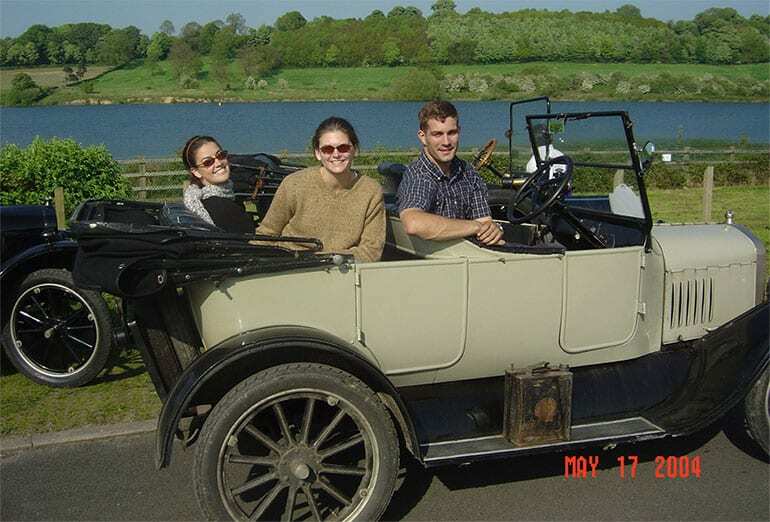 Obviously essential for enthusiasts of the British Model T, it is a worthwhile resource for anyone with interest in Model Ts, British motoring in the ‘teens and twenties, and the global reach of the car that put America on wheels. I can highly recommend it. $60.00 plus $9.00 shipping and handling.